The Legal Genealogist was honored to be among the featured speakers at this past weekend’s 2016 Ontario Genealogical Society conference — Genealogy on the Cutting Edge — in Toronto. It was wonderful!! More than 700 enthusiastic attendees, great presentations, and a lot of fun. To get ready for that conference, I had to review or even learn for the first time about a variety of resources for Canadian research — and there are some stellar options. I’m sure I don’t need to spent time listing things like Library and Archives Canada — anyone doing Canadian research probably already knows about the combination National Archives and National Library site. And the website of my hosts, the Ontario Genealogical Society, is an obvious “don’t miss” resource, especially with its TONI (The Ontario Name Index) database. But there are others that will get you started in Canadian research that you don’t want to miss either. Canadiana.ca: A non-profit organization dedicated to making historically significant documentary materials available online. Major collections include Early Canadiana Online, full-text historical books, magazines and government documents; Héritage, roughly 60 million pages of primary-source documents; and the War of 1812 Collection. ArchivesCanada: A research portal to more than 800 Canadian repositories of archival materials and images. Dictionary of Canadian Biography, University of Toronto: A collection of nearly 8,500 biographies of persons of significance to Canada (or its colonial antecedents) from voyagers like St. Brendan to Canadians of the 20th century (and don’t miss the biography of the day feature — it’s fun!). 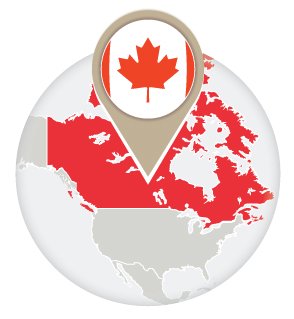 CanadaGenWeb: A research portal and gateway to variety of Canadian research sites, projects, archives and guides. CanGenealogy Historical Newspapers: A site collecting links to digitized newspapers across Canada plus information specifically about using Google News Archive. And from Ontario itself, don’t miss the Archives of Ontario, “Conducting Your Research From Home”: Research tools, databases, links and catalogues of information that can help you conduct much of your research from home, including in some cases direct access to documents, indexes and images. These are just some of the great resources that exist in Canada for research there — into its great history, its geography, its people. Canada’s history is America’s history so researchers have to pay attention to both countries. British North Americans who fought in the American Civil War, 1861-1865 is a dissertation worth reading. Over 50,000 Canadians may have fought for the Union and hundreds fought for the Confederacy. This would cause some headaches in Southern US genealogy if grandpa was a Canadian in the Confederate Army. Canada was the destination for the Underground Railroad and freed slaves in the 1812 and Revolutionary War so African American research is affected. Finally, many Canadians descend from Loyalists from the US. Groups like the United Empire Loyalists research this. I wonder if Loyalists from the Southern US who fled to Canada took records with them and those records avoided the fires that destroyed many colonial US records in the American Civil War. The link is correct; it appears that the CanGenealogy website is down at the moment. In addition to the LAC, people interested in Canadian genealogy should also be aware of the provincial archives. Some provincial archives have done an excellent job of creating and providing online content. One of the great resources of the LAC website is the depository of online census records. However, an excellent supplement for Canadian census records is Automated Genealogy (http://automatedgenealogy.com/). Because the indexing for one site can be in error, I often find what I’m looking for on the other. As well, Automated Genealogy search engine is somewhat better and there is a little more versatility in displaying results. Outside the Ontario core, The Glenbow Archives (http://www.glenbow.org/) in Calgary is the largest non-governmental archive in Canada has an extensive amount of genealogy resources, including a significant repository of material for Métis genealogy. The Surrey Public Library (http://www.surreylibraries.ca/programs-services/4815.aspx), located in a Vancouver suburb, has one of the largest genealogical collections in Canada. Finally, for French-Canadian genealogy, the Drouin Collection is an important source of church records. Church records were maintained in the ecclesiastical and civil archives, the Drouin Collection is the civil archive copy. I note one commenter mentioned Canada’s history is America’s history, but it’s also Britain’s, and a lot of Canadian genealogy resources (especially military records) are held in British depositories. As well, given that much of Canada was once governed by the Hudson Bay Company (the remnant of which is now a department store chain), I know that some researchers have found valuable information in the HBC archives, although I have not had need of that resource. Yes, there are some amazing localized, regionalized or specialized resources available throughout Canada, Sean, and, yes, I was privileged to feature some of that additional content while speaking at the Ontario Genealogical Society conference!